It is not hard to combine classic and modern interior. It only needs proper balance of designs and proper arrangement of furniture and decor whether it is modern or classic. We can start classic interior from the common things we need in home like tables, chairs, cabinets and closets while modern interior can be window dressings, rugs, lightning and wall paint. You just have to finalize first what interior motif you want to have. 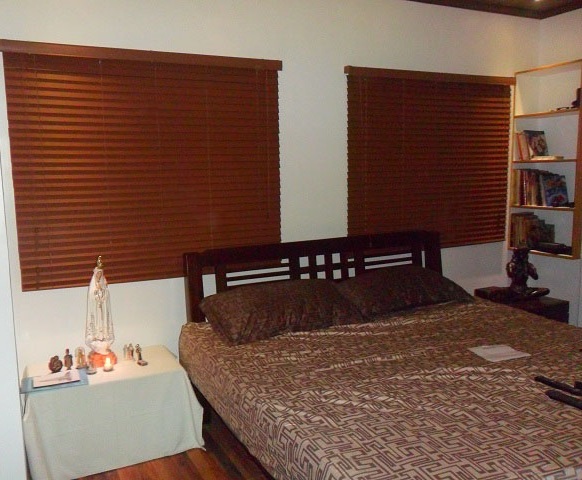 Our client from Muntinlupa City, Philippines opted for faux wood blinds for their bedroom windows. Their home design was a combination of a classical and a modern design. 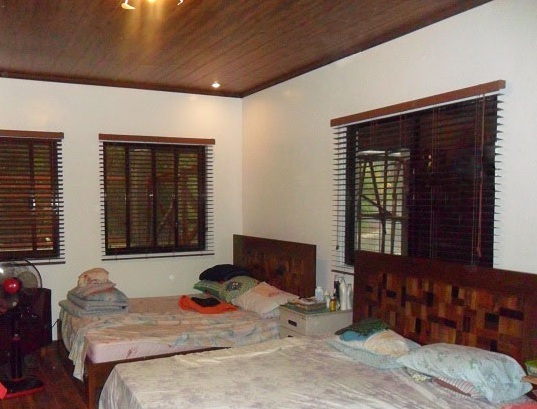 They decided to have faux wood blinds for their bedroom windows to provide home interior balance and perfect harmony. Faux wood blinds perfectly coordinate with the ceiling, flooring and bed frame, creating an elegant and modish effect to their overall room interior. Even though faux wood blinds are made of PVC (polyvinyl chloride) and not a real wood, it consists of various wood stains that will suit to any interior you want. Our client selected cherrywood stain of wooden blinds to match with his preferred interior. Combining classic and modern interior depends on your home space and talent in interior designing. Improper combination of classic and modern interior may result to messy home interior that is why you have to be careful in combining them. For more information regarding our products, do not hesitate to call DS Windows and Walls at (02) 893-1373 / (02) 403-3262 / 0916-311-3909 or email us at inquiry@dswindows.com. 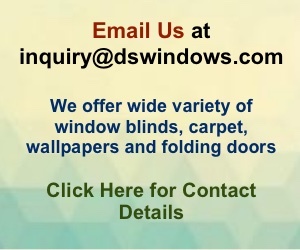 We also offer different kinds of window blinds, wall covers, flooring and folding doors. We are located at 3rd level Robinsons Metro East, Pasig City, 4th level Waltermart, Makati City and 2nd level Pacific Mall Lucena City.